According to arrangements since February 15 I began next «ceasefire regime» , but terrorists not especially adhere to truce conditions. Armed forces of Ukraine finished stage-by-stage branch of the heavy weapon from the line of contact meanwhile as it was provided by the agreements reached in Minsk. At the same time, fighters several times tried to beat out anti-terrorist operation forces from Marinka, however with losses receded. And leaders terrorist «LPR» lifted a limit on use of heavy artillery. «Crime. Is NOT PRESENT» continues to trace a situation. About events of previous day read ACCORDING TO THE LINK. Reported about it in a press - the center of headquarters of anti-terrorist operation. "Today, on July 10, exactly at midnight, the pro-Russian mercenaries began attack from 120-mm mortars and small arms of positions of anti-terrorist operation forces near N of the item. Sand. At 2:00 near the settlement Lugansk fighters of anti-terrorist operation forces found diversionno - prospecting group and forced the opponent to recede. At 6:55 and 10:45 fighters conducted attack of the Ukrainian military near the city of Avdeevka. At 9.50 of 120-mm mortars positions of anti-terrorist operation forces near Skilled are fired". "From artillery of caliber 152-mm fighters fired at positions of anti-terrorist operation forces near settlements of Donetsk region: at 5:15 within half an hour - the village Star, in the Maryinsky area. At 6:20, within half an hour - near the settlement of Novobakhmutovka, from 6:50 till 7:30 - near Bogdanovka. At 10:35 around N of the item. Skilled, from 11:55 a current of half an hour of a band beat on positions of anti-terrorist operation forces near the city of Svetlodarsk", - it is noted in the message. It is noted that from 12:51 till 13:13 the pro-Russian fighters "fired from artillery of caliber at 152 mm the city of Svetlodarsk". "In recent days attacks by artillery from the pro-Russian bands of settlements where peace citizens - old men live, became frequent women and children. From 15:20 till 16:00 near the settlement of Talakovka of Donetsk region the fighting collision second within a day took place. Fighters of anti-terrorist operation forces again didn't allow break diversionno - prospecting group for the line of differentiation.The enemy suffered losses and receded", - is specified in the message. 21:00 The digest of events in the anti-terrorist operation zone as of evening on July 10. 20:25 In captivity fighters on Donbass still have 245 Ukrainian soldiers among whom there are also women. I reported the representative of the president of Ukraine on peaceful settlement of the conflict on Donbass about it, the People's Deputy Irina Gerashchenko, reported in a press - service "Blok of Petro Poroshenko". 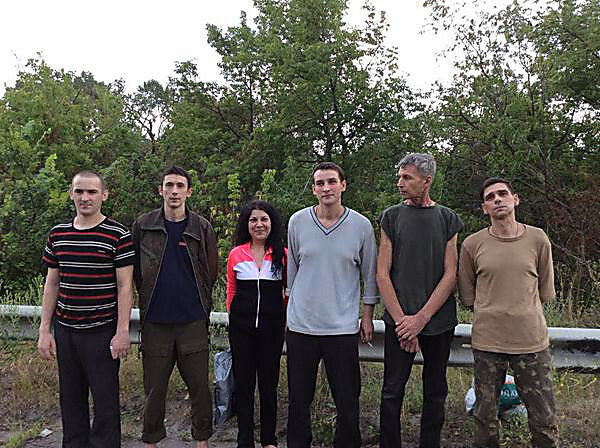 Thus she noted that for the last two months from captivity of fighters 30 Ukrainian servicemen are released, including 10 fighters are returned today. 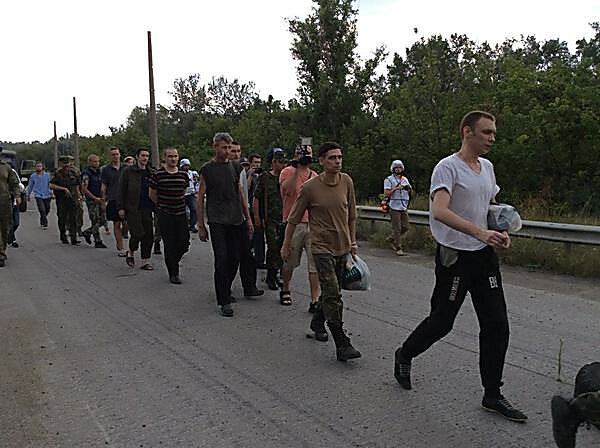 20:00Photos of release of 10 Ukrainian prisoners of war are published during an exchange on July 10. 18:00 Fighters of "Azov" showed how Shirokino after retreat from there of terrorists looks. 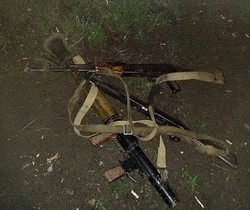 17:35 On July 9 fighters of department of fight against terrorism of SBU in the Kherson area on border carried out special operation. 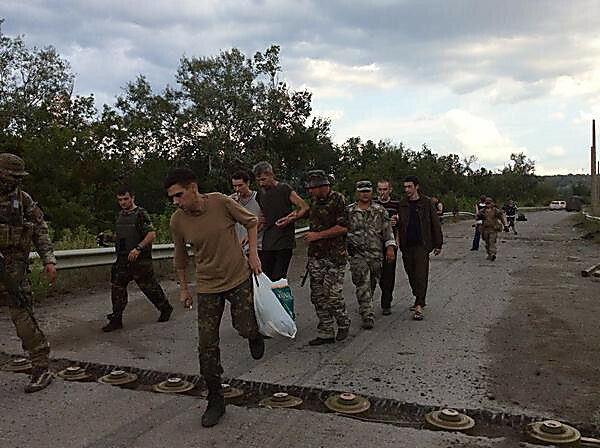 On a check point «Chongar» found and detained the fighter of a battalion «Sparta» , so-called "armed forces of "DNR". Reports the site about it "Hersonshchina in a day". The detainee had special training and training on bases of fighters in the Rostov region and to the Crimea. On the instructions of terrorists the fighter had to carry out razvedyvatelno - subversive and diversionary activities in the areas adjacent to a zone of carrying out anti-terrorist operation. 16:35 Diversionno - assault prospecting group "Rusich" which consists of the Russian neo-Nazis, left Donbass. "DShRG Rusich is completely brought by my decision from Donbass to retraining and fitting. The group carried out the tasks, resources of this war received further in such conditions and unclear for whose interests we won't be at war", - the commander of this group Alexey Milchakov wrote to "VKontakte". We will remind, in the fall of 2011 the Petersburger Alexey Milchakov by nickname Fritz uploaded on a social network "VKontakte" pictures of terrible punishment over a dog. 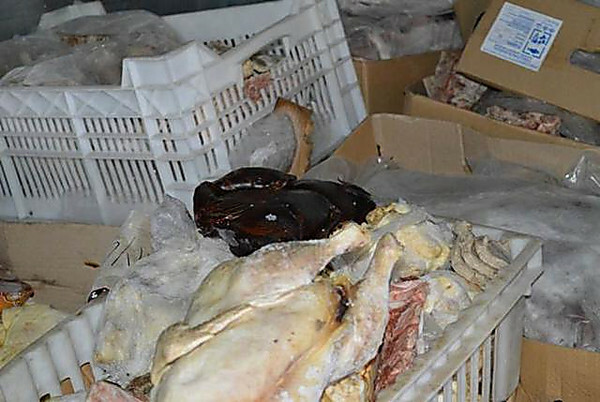 On them he with special cruelty kills a puppy, cuts off to it the head and eats. Besides, on its page the picture in which it poses with a fascist flag in hands was laid out.In the same place Milchakov stated extremist slogans, inciting to murders based on xenophobia. 16:22 Security service specialists of Ukraine in Mariupol detained the inhabitant of Donetsk who since November of last year entered so-called "law enforcement agencies" of the terrorist organization "DNR". Reported about it in a press - the SBU center. As a part of illegal structure so-called "traffic police of "DNR", the woman carried out selection and registration of new members of terrorist groups. She was entitled from fighters "the police lieutenant of "DNR". 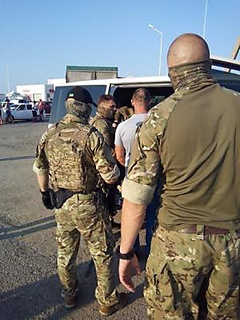 The helper of terrorists arrived to Mariupol for registration of exit foreign documents and at once was detained by the staff of intelligence service. 15:00 On Thursday in a zone of military operations on Donbass two soldiers were lost, 10 more fighters got wounds. The speaker of Presidential Administration concerning anti-terrorist operation Andrey Lysenko reported about it at a briefing. 16:14 Fighters of a battalion of a special purpose of NSU «Donbass» received from command of sector «M» the oral order to leave the positions taken by them in Shirokino within the planned demilitarization of the settlement. The former commander of a battalion, the People's Deputy from fraction Semyon Semenchenko reported about it «Censor. Is NOT PRESENT». - I contacted the military personnel of a battalion of National guard «Donbass» also reported that during meeting in headquarters of sector «M» showed them cards where together with the Russian generals a new line of differentiation was drawn. It from their words. They were given the order to go from the taken positions to Shirokino, - Semenchenko noted, having added that fighters of a battalion received the oral order from the commander of sector «M» Fedorova. According to Semenchenko, fighters of a battalion are revolted with similar actions of the military management. They consider the order to leave the Ukrainian territories–criminal also refuse to carry out it. 15:17 The Donetsk filtering station stopped work from - for attacks. There is a high probability of that the pipeline delivering water in Avdeevka was killed. In the message published on the site of the company in the morning, on July 10 it is said that the territory of Donetsk filtering station is under attack, work of station is stopped. It is also told that allegedly shells got to the pipeline from which water is pumped in Avdeevka. 15:00The situation in the anti-terrorist operation zone became aggravated, fighters in the open apply heavy weapon against the Ukrainian military personnel. 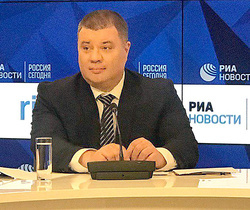 It during a traditional briefing was declared by the speaker of Presidential Administration concerning anti-terrorist operation Andrey Lysenko. According to him, the opponent again passed to tactics of active and frank use of heavy weapon, and also DRG became more active. - In particular, yesterday in the morning through the Seversky Donets it was transported hostile diversionno - prospecting group. Attack was beaten off. One more clash happened around Crimean–the opponent was rejected back to Sokolniki. Also episodes of violation of silence regime from NVF are recorded in the Village Lugansk, Happiness, Trekhizbenke and Novotoshkovsk. 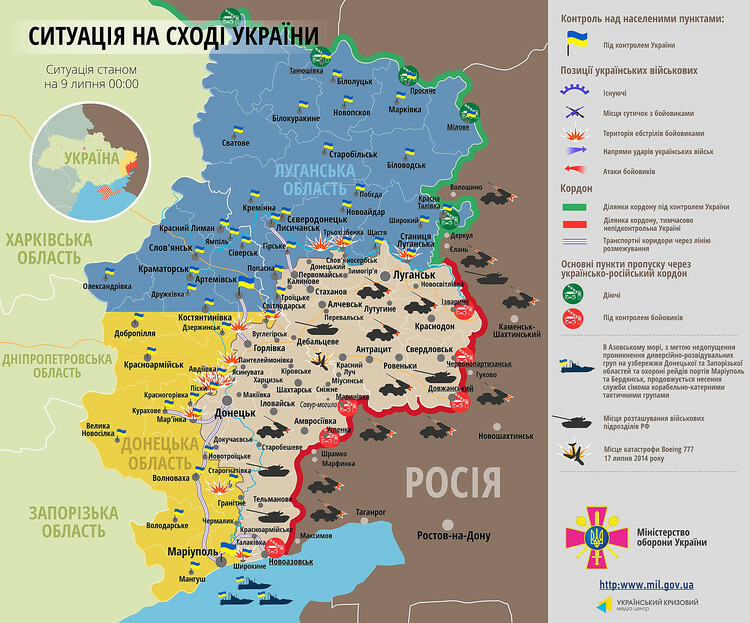 - On Donetsk the direction near Svetlodarsk and Gorlovka the situation was stabilized. Enemy provocations have single character, only the small arms are used. Around the airport three points of activity of the enemy–Avdeevka, Skilled and Sand, - the speaker noted. - In particular, in the afternoon ​​ about five hours hostile attacks of our positions near Novogrigoryevka proceeded–the opponent applied large-caliber mortars, 152-mm guns and tanks. Also with the North - east direction the village Granite was fired: on it one package of RSZO «was let outHail» also a series of shots from 152-mm artillery is carried out ​​. On a site from violation of silence regime, Granite to the Sea of Azov of the facts, it isn't recorded. 14:00Situation in the anti-terrorist operation zone as of July 10. 10:24 During fight with terrorists about the Village Lugansk one Ukrainian military was lost. I reported about it on official site the head Luganskoy regional voyenno - civil authorities Gennady Moskal. "On Thursday about 5-and evenings in the village. 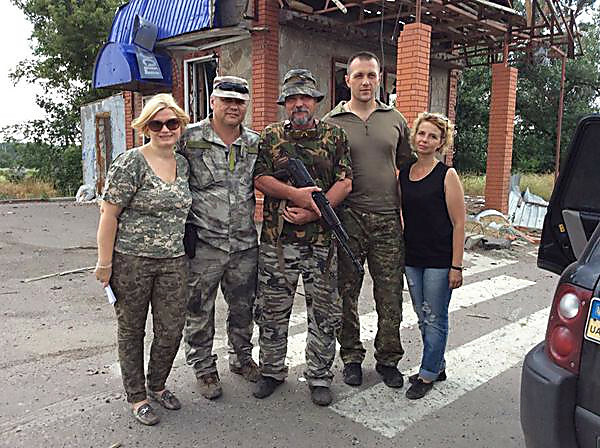 Crimson Stanichno - the Lugansk area (the village on the bank of the Seversky Donets about the district) flashed fight between the Ukrainian military and diversionno - prospecting group of fighters which made the way on the territory controlled by Ukraine. Unfortunately, one military in a course of action was lost (he was 30 years old), one more is wounded and now is in hospital", - is emphasized in the message. It is noted that wound was also got by the 35-summer local man who passed on the village on the car. 09:20 Formations of DNR fired at positions of anti-terrorist operation forces from artillery in caliber of 152 mm. I reported about it 0629 press - the officer of sector of "M" Yaroslav Chepurnoy. Today attacks began from 1:30. Around Bogdanovki formations of "DNR" applied heavy artillery in caliber of 152 mm. Positions of the Ukrainian security officers in Talakovke and Chermalyke underwent attacks with application of various type of small arms. The AFU which were injured among staff and NSU aren't present. For last days the sector of "M" underwent 9 attacks. 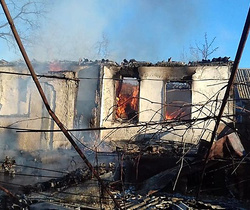 Four times fire at Novogrigoryevka was opened, two attacks were made around Novotroitsk, was twice fired Granite, one attack was conducted across Gnutovo. During attacks of formation of "DNR" once applied Grad MLRS, twice SAU of 152 mm, four times were applied mortars, one attack was conducted from the tank, one with application of small arms. Victims among the military personnel of Ukraine aren't present. Around 22:00 the UAV which was carrying out investigation was found, flying by on the line Yalta - Melekino. 08:57 The situation in the east of Ukraine became aggravated. Reports a press about it - the anti-terrorist operation center. Only from 18:00 till 24:00, on July 9, on all line of differentiation the pro-Russian fighters about 40 times fired positions of anti-terrorist operation forces. From them 17 times invaders used forbidden by the Minsk arrangements the weapon. With arrival next, so-called "Russian гумконвоя" in Donetsk and Lugansk areas, attacks of positions of anti-terrorist operation forces considerably became frequent. Bands repeatedly beat on positions of anti-terrorist operation forces from 120-mm mortars and tanks in areas of settlements Water, Avdeevka, Sand, Crimean, Skilled, Birch. Twice from 122-mm artillery positions of the Ukrainian military near the settlement of Taramchuk that in Donetsk region are fired. From 19.45 till 20.00 on artillery of caliber 152-mm Russian invaders fired at the settlement Granite, on the Mariupol direction. At 22.10 around N of the item. Crimean there was a clash of the Ukrainian military with diversionno - prospecting group of the opponent. Defenders of Ukraine found enemies and didn't allow their break through the line of contact. Rossiysko - terrorist troops try to find weak places in our defensive boundaries. From 21.25 for 23 hours over the Luhansk region it is recorded flight of 10 enemy UAVs. One more was recorded on the Mariupol direction. Three UAVs were brought down in the sky over the Luhansk region divisions of antiaircraft defense of Armed Forces of Ukraine. Today, on July 10, exactly at midnight, the pro-Russian mercenaries began attack from 120-mm mortars and small arms of positions of anti-terrorist operation forces near N of the item. Sand. 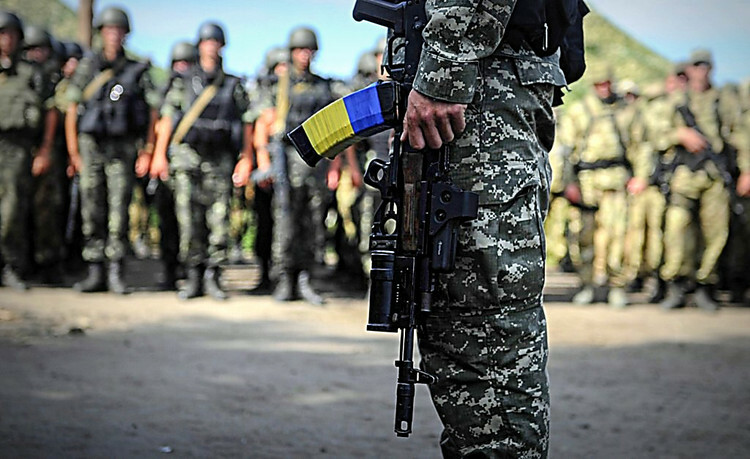 In 2:00 nights near the settlement Lugansk fighters of anti-terrorist operation forces found and reflected attack diversionno - prospecting group. Despite support of illegal armed groups by Russia in the occupied territory of Ukraine, the situation in the anti-terrorist operation zone is completely controlled by the Ukrainian military. 08:45In a network there was video from the demilitarized Shirokino from a regiment "Azov". 08:13The video report from a press - the anti-terrorist operation center about a situation in the anti-terrorist operation zone as of morning on July 10. 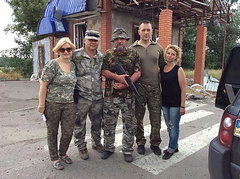 2:13 Appointed fighters «people's mayor» Kirovsk Gennady Kartsev addressed to the leader «LPR» To Igor Plotnitsky with «petition» about accession to the city of the settlement of Golubovskoye and the village of Berezovskoye. Both settlements adjoin to Kirovsk and are on «lines of contact». We will remind that in December of last year Golubovsky's inhabitants came to a protest action against fighters. 1:43 On check point «Novotroitsk» under Volnovakhoy Donetsk region transfer of the prisoners who remained in uncontrollable Ukraine territories of Donbass took place. The human rights activist Vadim Pivovarov reported about it, reports "Informant". According to him, initially conversation went about transfers of 10 prisoners, however at one of them term ended. Thus, all nine people condemned under different articles were transferred. - All of them are foreigners and extraditions are subject, decided to be engaged for a start in this category of prisoners, - marked out Brewers. Also information on transfer of the Ukrainian condemned it was confirmed by the Representative of the Verkhovna Rada on human rights Valeria Lutkovskaya. It was declared by the deputy minister of defense of Ukraine on the European integration Igor Dolgov, reports TV channel "112". "In September the Swedish instructors will train the Ukrainian fighters of first aid in the battlefield", - reported Debts. 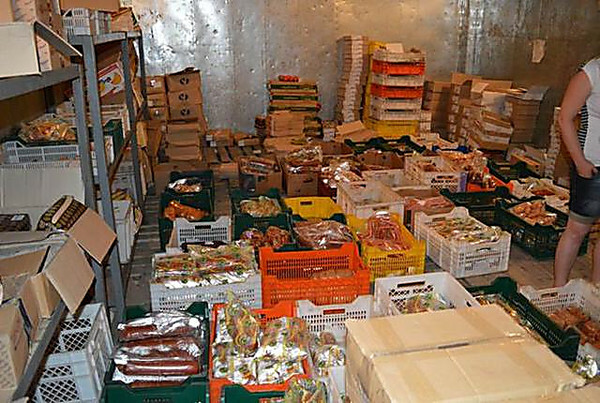 00:28 In Severodonetsk security service specialists of Ukraine found commodity base where substandard food which it was planned to deliver to terrorists for the subsequent resale to civilians of occupied territories were stored. "During searches in the territory of base which belongs to private firm, law enforcement authorities revealed a large number of substandard production. 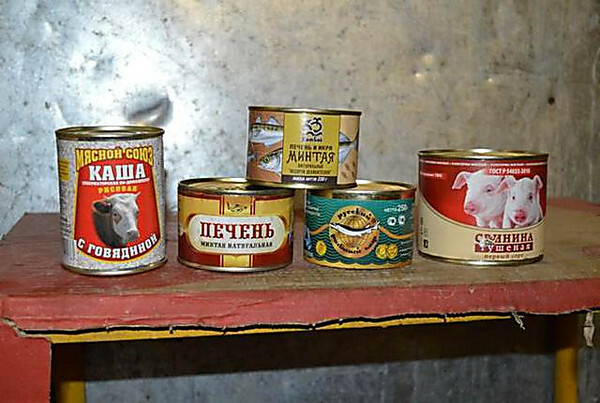 For resale at inflated prices in temporarily occupied territories to terrorists were going to deliver to civilians the delayed meat, sausages, cheeses, canned food among which - fish the Russian production", - it is told in the message long ago. Staff of intelligence service also revealed stickers with logos and marking of trademarks of the known domestic enterprises - producers. Malefactors planned to apply them on packings with food products to testify quality of doubtful goods. 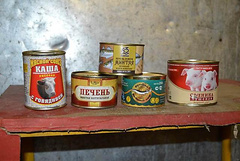 According to the conclusion of specialists of Civil service of veterinary medicine and Gossanepidsluzhby in the Luhansk region, all production is subject to immediate utilization.